My name is Michael Smele and I'm a Mortgage Agent in Barrie, Ontario. My goal is to help you make the best mortgage decision and I do this by helping you to understand your mortgage options. I have access to hundreds of trusted lenders in Ontario and I work hard to offer you the best rates on a wide range of mortgage services including home equity loans, mortgage refinance, home purchase loans, debt consolidation and private mortgage loans. I have helped many clients in difficult mortgage situations where they thought a solution was not possible. I've created Mortgage Truth to showcase my services and to share with you some information that will help you make wise wise mortgage decisions. 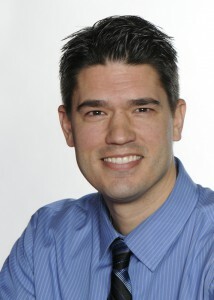 I help clients with their mortgage needs in Barrie, Newmarket, Aurora, Innisfil and Bradford. I have also helped many clients in Toronto and the Greater Toronto Area (GTA) including Richmond Hill, Markham, Mississauga and Brampton and even across Ontario. Most of our communication can be done by phone and email but I can meet with face-to-face as well. Take a moment to browse my services or see what my clients have to say about me. I'd be happy to answers any questions you have, big or small, or help you with your mortgage needs - I look forward to hearing from you! Have an emergency mortgage question that just can't wait? A Purchase deadline expiring tommorow? Need that money in your bank like today? Try our new SMS text service for fastest results! Get approved with a Private Mortgage Loan. When banks and the government's rules are keeping you from the loan you need, I am confident I will get you approved! Did you know that every mortgage that is a debt to one party is an investment to another? You can be the bank and start earning great return with low risk. Let's put your money to work for you! You can lend from your RSP into a mortgage with returns that outperform typical bank investments. Make your RSP work for you with Private Mortgage Lending!